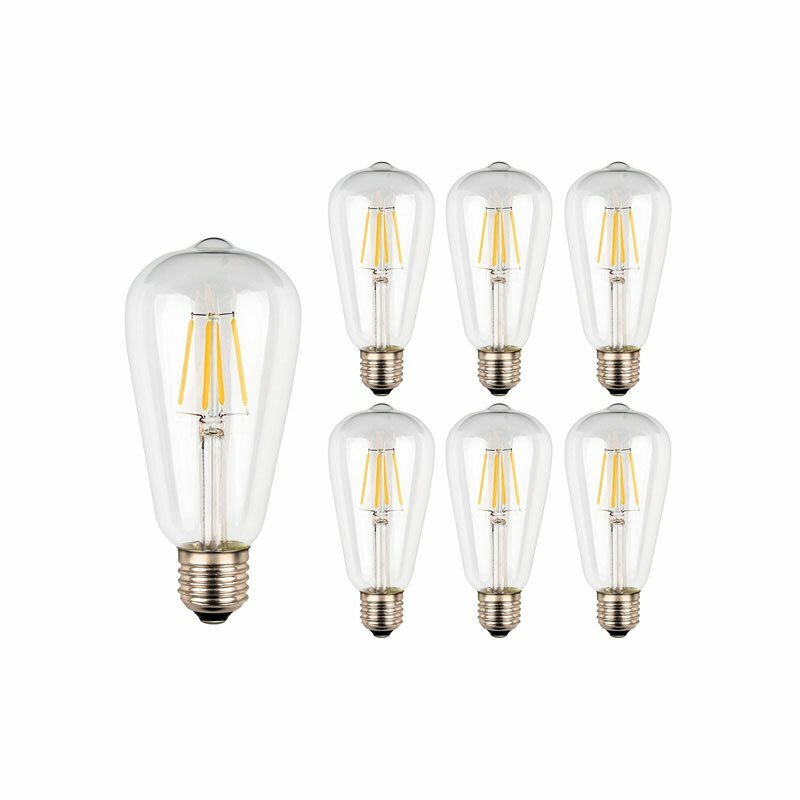 Multi-Function: This Vintage LED Bulb is a cool gear decoration and ideal for outdoor lanterns, ceiling fixtures, chandeliers and pendants, multiple places you'd like to decorate with. Edison style filaments create a unique atmosphere in your home, event or workspace. WARRANTY: All Ascher products have 18 months warranty. Please feel free to contact us when you have any problem, we will solve the problem for you as soon as possible. NOTE: This E26 LED bulb is not dimmable, please DO NOT use them with dimmer switch!